Dr Jaclyn Pearson is a microbiologist by training. 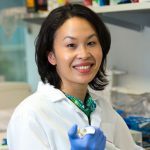 She currently holds a National Health and Medical Research Council (NHMRC) Career Development Fellowship (2019-2022) and is a Research Group Head in the Centre for Innate Immunity and Infectious Diseases. Dr Pearson completed her PhD research in the Department of Microbiology and Immunology at the University of Melbourne in 2013. 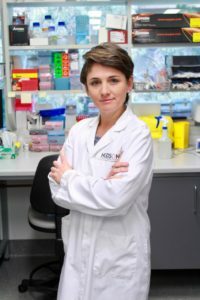 She was awarded the Chancellor’s Prize and Dean’s Award for Excellence in a PhD Thesis in 2013, and in 2014 attained a NHMRC Early Career Fellowship (2015-2018). Here, she was appointed group leader for research on pathogenic E. coli within the Hartland Research Group at The Peter Doherty Institute where she continued her research to decipher the mechanisms by which gut pathogens cause disease and how the human host fights bacterial infections. In 2017, she was recruited to her current position at Hudson Institute of Medical Research. The major focus of Dr Pearson’s research is understanding host programmed cell death signaling and inflammatory responses during bacterial gut infection. Dr Pearson will interrogate these mechanisms using the model organism Salmonella enterica serovar Typhimurium. Her research has uncovered highly novel mechanisms of immune evasion by bacterial pathogens, which has provided fundamental insights into how a host combats infection. Her work has been published in internationally renowned journals such as Nature, Nature Microbiology and PLoS Pathogens. 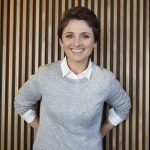 Dr Pearson has been the recipient of numerous awards including the inaugural Australian Society for Microbiology’s Jim Pittard Early Career Researcher Award (2016), the Victorian Premier’s Award for Health and Medical Research for which she was the first-ever female recipient (2014), and The Victoria Fellowship (2010). 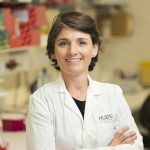 In 2014, she was also shortlisted for the Australian Museum Eureka Prize for Infectious Diseases Research along with her mentor Professor Elizabeth Hartland. 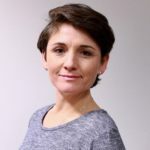 Dr Pearson is an active member of local and national networks and committees that support the professional development of early and mid-career researchers and has had numerous invitations to deliver motivational talks to students and ECRs. Pearson, JS, Giogha, C, Ong, SY, Kennedy, C, Kelly, M, Robinson, KR, Wong, T, Mansell, A, Riedmaier, P, Oates, CVL, Zaid, A, Mühlen, S, Crepin, VF, Marches, O, Ang, C, Williamson, NA, O’Reilly, LA, Bankovacki, A, Nachbur, U, Infusini, G, Webb, AI, Silke, J, Strasser, A, Frankel, G, Hartland, EL (2013) A type III effector antagonises death receptor signalling during bacterial gut infection. Nature, 501:247-251. Pearson, JS*, Giogha, C*, Mühlen, S, Nachbur, U, Wong Fok Lung, T, Zhang, Y, Oates, C, Ingle, D, Hildebrand, J, Dagley, L, Bankovacki, A, Schroeder, G, Frankel, G, Masters, S, Vince, J, Webb, A, Silke, J, Hartland, EL (2017) A bacterial cysteine protease effector cleaves RHIM proteins to block necroptosis and inflammation. Nat Microbiol, 2:16258. *Joint first authors. Pearson, JS*, Newton, HJ*, Badea, L, Kelly, M, Lucas, M, Holloway, G, Wagstaff, KM, Dunstone, MA, Sloan, J, Whisstock, JC, Kaper, JB, Robins-Browne, RM, Jans, DA, Frankel, G, Phillips, A, Coulson, BS, Hartland, EL (2010) The type III effectors NleE and NleB from enteropathogenic coli and OspZ from Shigella block nuclear translocation of NF-κB p65. PLoS Pathog, 6:e1000898. *Joint first authors. Pearson, JS, Riedmaier, P, Marches, O, Frankel, G, Hartland, EL (2011) A type III effector protease NleC from enteropathogenic Escherichia coli targets NF-κB for degradation. Mol Microbiol, 80:219-230. Creuzburg, K, Giogha, C, Wong Fok Lung, T, Scott, NE, Mühlen, S, Hartland, EL, Pearson, JS (2017) The type III effector NleD from enteropathogenic coli differentiates between host substrates p38 and JNK. Infect Immun, 85(2): e00620-16.